IT'S OFFICIAL — MORPHISEC IS ONE OF THE COOLEST COMPANIES ON THE PLANET. GARTNER SELECTED MORPHISEC AS A COOL VENDOR FOR 2016. 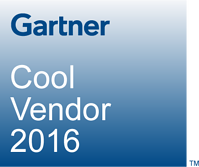 WHAT'S A GARTNER COOL VENDOR? Each year Gartner, the leading IT research firm, identifies new Cool Vendors it considers innovative or transformative in key technology areas. The analyst group publishes a series of reports that highlights these pioneering vendors and their products or services. Morphisec takes a radically different approach to endpoint threat prevention. Our Moving Target Defense (MTD) technology protects companies from zero-day and other exploit-based threats without relying on detection of threat signatures or suspicious behaviors. Instead, it uses the hackers’ own tactics – polymorphism and deception – to instantaneously block then identify attacks. Morphisec’s MTD technology morphs the runtime environment, randomly and without any trace, concealing unpatched endpoint vulnerabilities and trapping all attempts at access. It does so in a deterministic manner, via a lightweight 1MB agent requiring no administration, no complex configuration, no updates and causing no impact on the endpoint. SCHEDULE A DEMO TO SEE FOR YOURSELF WHY MORPHISEC IS SO COOL.